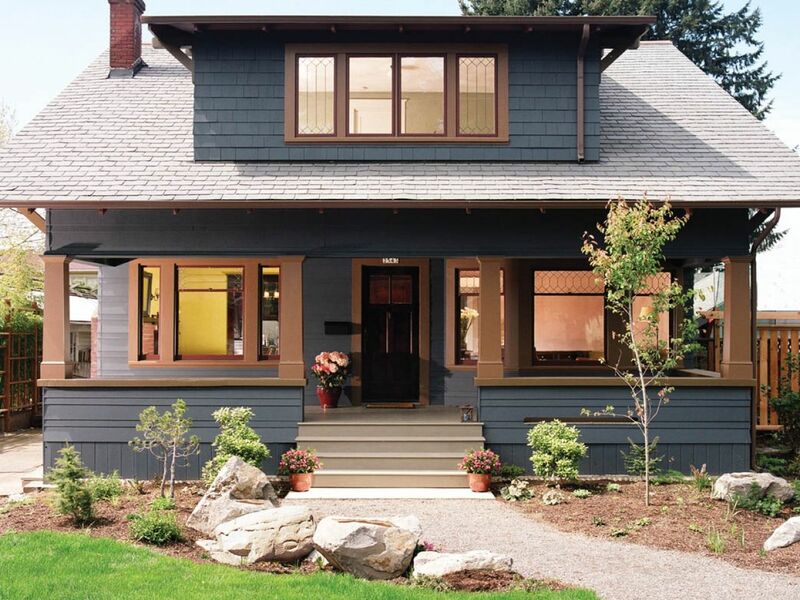 Your exterior paint is how you showcase your home and your style to the world. 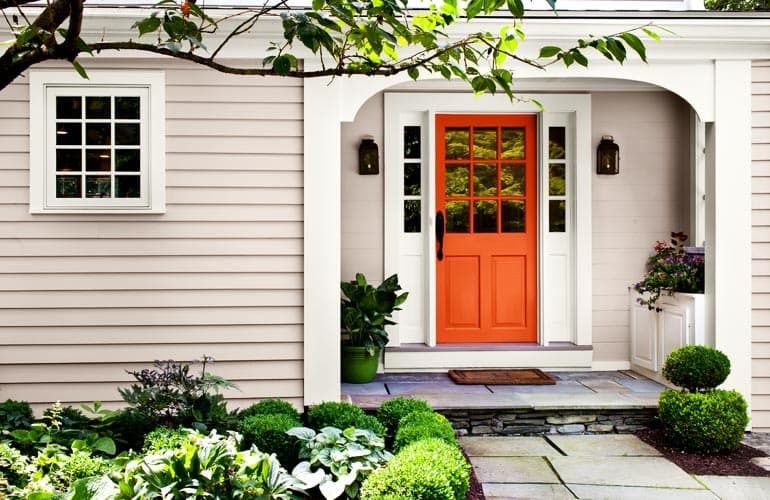 If you’re looking for an upgrade in curb appeal, paint is an easy way to give your entire home a facelift. 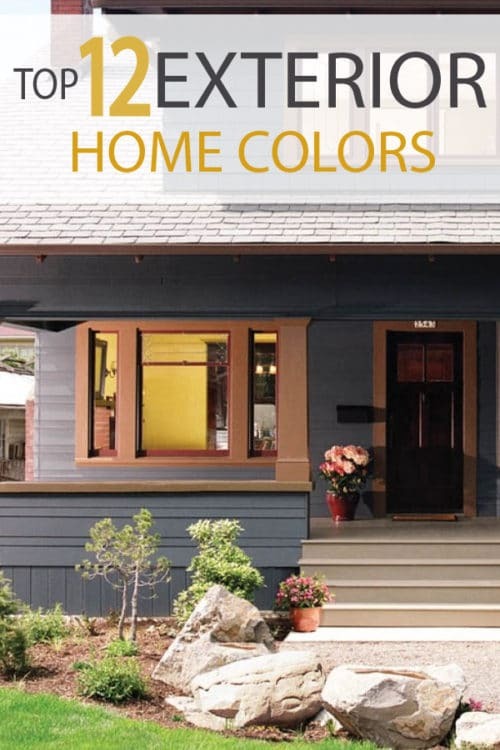 However, choosing a paint color for your entire house on a 2-inch paint sample can be overwhelming. 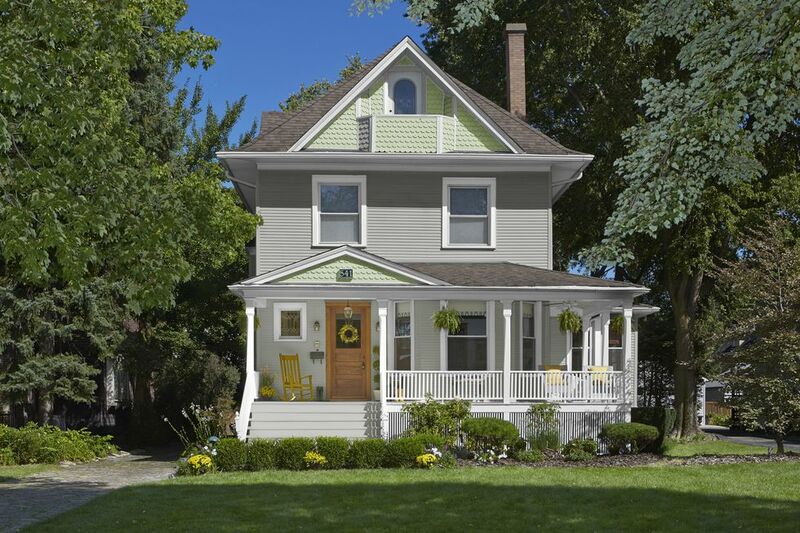 Instead of making yourself dizzy by looking at paint samples, looking at actual homes gives you the best inspiration. This allows you to see how the color will look on a larger scale. 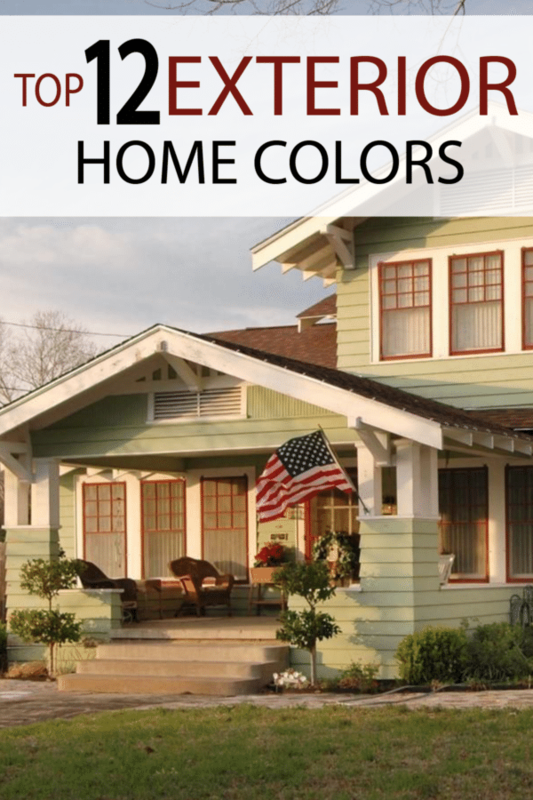 Here are some of the best exterior colors for homes we are seeing on street across the country. 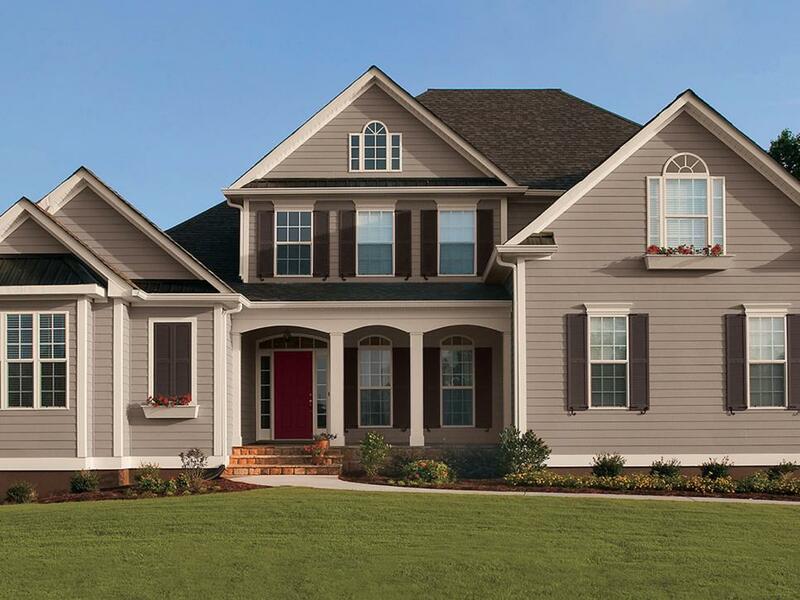 Our hope is that you can find one that fits your own style and neighborhood. 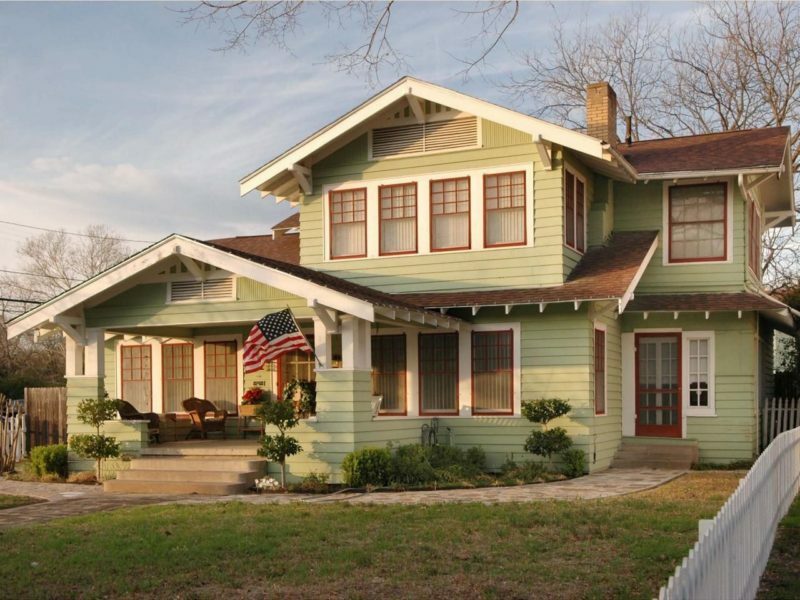 Browns – This home is a classic craftsman style using three main brown tones. The lightest tone is a taupe used for the trim, a darker beige fill in the home, and dark brown adds emphases to the window shutters. Notice the rustic red door that adds a beautiful color accent. When using colors in the same family, like brown, go for a big change in tones to avoid everything looking monochromatic and bland. Greige – This new color is a mixture of grey and beige. Greige is a hugely popular color because it can go either warm or cool and pairs beautifully with a statement-making front door. Cottage Yellow – Yellow can be a risky home color, but a soft buttery shade paired with a bright white trim creates a beautiful landscape. 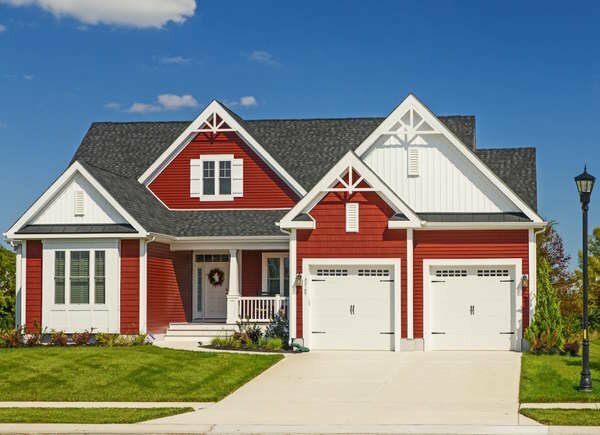 Country Blue – Notice how the bright white trim shows enhances the overall color of the home. A beautiful soft blue against crisp white and dark wood accents. Navy – Don’t be afraid to go dark. When complemented with a white trim, dark colors can make a big statement. Red – This particular shade is called Million Dollar Red by Benjamin Moore and we couldn’t agree more. It pops against any background, looks great in any neighborhood and is both traditional and completely fresh. 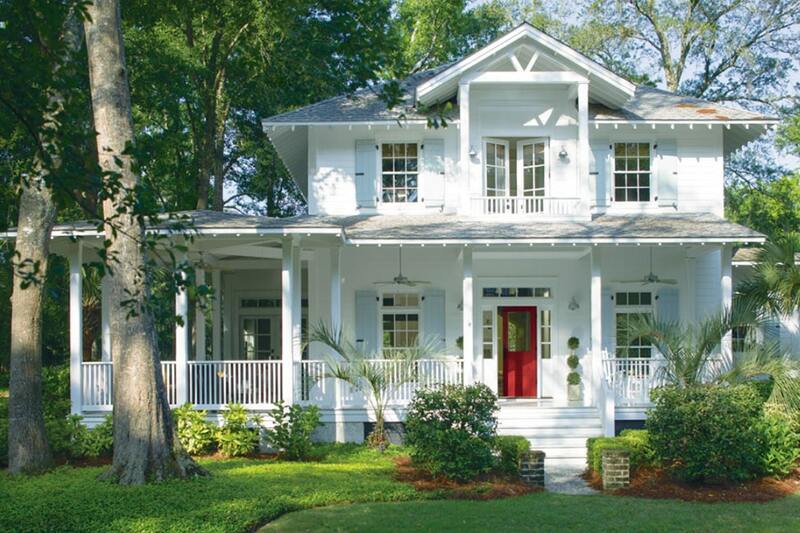 White – White is a classic color and can create beautiful curb appeal. It’s perfect for a wide variety of styles from Victorian and colonial to a classic farmhouse and country style. 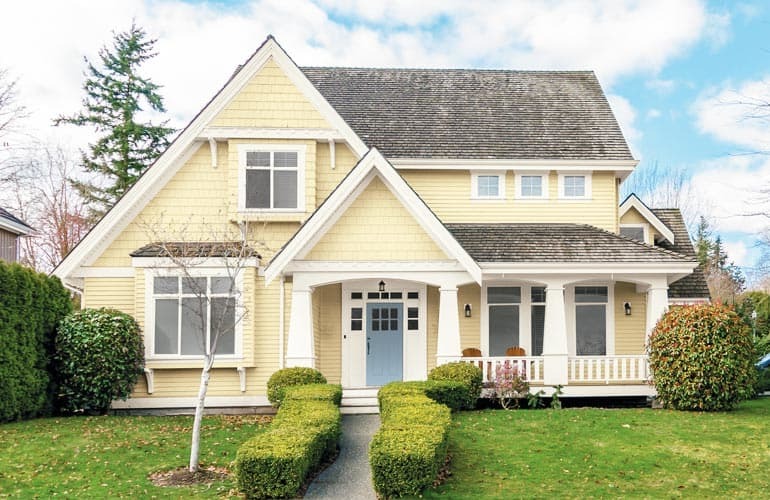 Grey – Classic grey is a beautiful color for the exterior of your home, and it pairs beautifully with a light sage green or natural wood accents. Green – You really can’t go wrong with green. It’s a calming shade that tends to blend in with any type of landscaping while providing a peaceful and welcoming exterior. 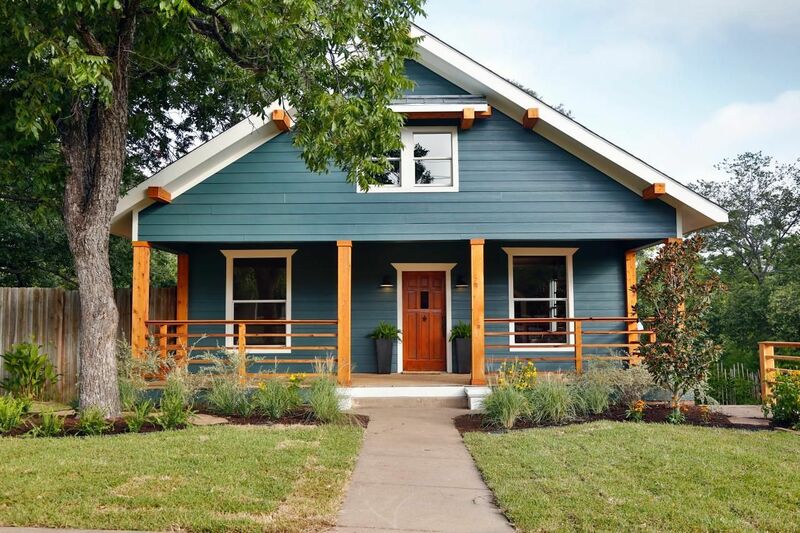 Deep Teal – This is a mixture of classic colors blue and green, but it creates a shade all its own that creates stunning curb appeal. Black – This isn’t the first color you’d choose for a home exterior, but it can add a beautiful element when used correctly. If you have a home that is a craftsman or cabin style with good bones, a coat of black paint gives it a beautiful modern element. 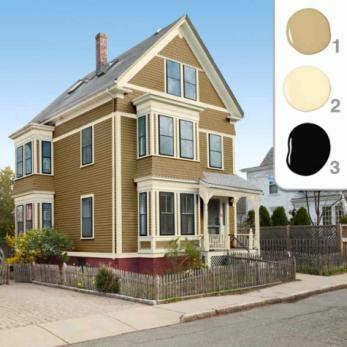 Mustard – Paired with a cream trim and black accents, mustard yellow can create a beautiful exterior scheme.